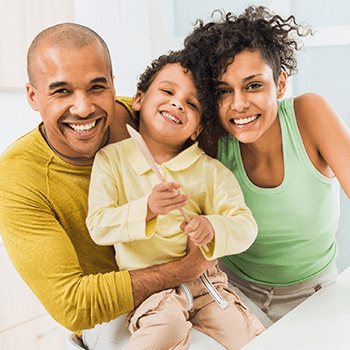 Maintaining great oral health requires ongoing professional and personal care, and your dedicated team at Pierson Dental is here to help every step of the way. We offer comprehensive checkups, refreshing cleanings, and several other services that are focused first and foremost on the power of prevention. Instead of simply treating your dental problems, Dr. Melvin Pierson hopes to catch them before they’re ever able to cause significant harm to your valuable smile. If you’re ready to schedule an appointment, contact our Sicklerville, NJ location today! We recommend that patients of all ages visit the practice at least twice a year (every six months) for a dedicated checkup and cleaning so that our team can keep track of any potential concerns and help you maintain optimal oral health. More frequent visits may become necessary in the face of certain circumstances, such as the presence of periodontal disease, pregnancy, or frequent alcohol/tobacco use. During this time, Dr. Pierson will perform a comprehensive review of your unique smile and work with you to formulate a treatment plan (if needed) that matches your unique needs and goals. Additionally, one of our skilled hygienists will clean and floss the teeth at a professional level that exceeds what can be accomplished at home, removing bacteria-filled tartar and plaque from the mouth so that it can no longer cause gradual damage. They’ll be happy to answer any questions you may have about improving your personal hygiene routine, too! Our practice is family-friendly and open to all ages! We enjoy helping children get started on the path towards lifelong oral health early, and our team members are always kind and patient with them throughout every appointment so they feel happy and comfortable when visiting. 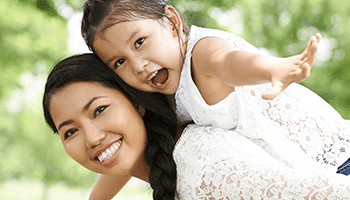 Dr. Pierson will provide helpful preventive services to protect and strengthen growing teeth while also keeping a close eye on any developmental problems that may cause trouble later on in life. When children are learning how to brush and floss their teeth, certain areas of the mouth can be difficult for them to reach, resulting in frustrating cavities. Dental sealants help provide some extra protection for these areas by covering the chewing surfaces of the back teeth and blocking out food particles and bacteria that like to gather there. Sealants can last for multiple years with proper maintenance, and our team will be happy to replace them if we notice any damage or loss during regular appointments. Bruxism (teeth grinding) is a common oral health problem among stressed-out teenagers and adults alike. Even worse, it’s most likely to occur when you’re asleep, leaving patients completely unaware as to why they’re experiencing worn-down teeth and jaw pain over time. 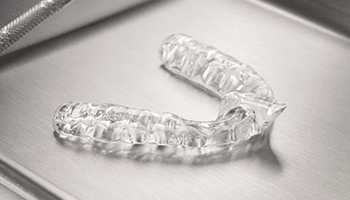 If Dr. Pierson notices tell-tale signs of bruxism during your next checkup, he can provide you with a custom-made nightguard that can be worn comfortably during sleep. This appliance will create a barrier between the rows of teeth and minimize the effects of damaging grinding. When playing sports that involve the possibility of physical contact, your vulnerable smile could be at risk. 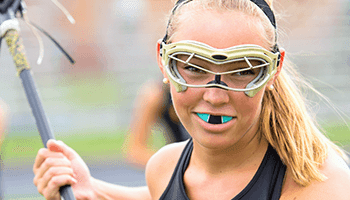 That’s why Dr. Pierson strongly recommends wearing a custom-fit sportsguard provided by our practice. These appliances are designed with your unique mouth in mind, providing optimal comfort, flexibility, and security. Upon impact, they’ll cushion the blow from other players or hard objects, preventing damage not only to the teeth, but the tongue and lips as well. Tens of thousands of new oral cancer cases are diagnosed every year, and nearly half of those patients won’t go on to survive more than five years. But why is that? Late discovery is the typical culprit, which greatly reduces a patient’s chances of being able to recover. 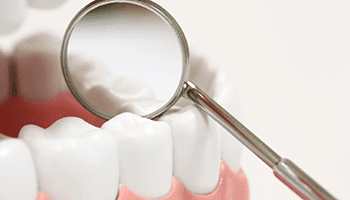 That’s why oral cancer screenings are a vital part of every checkup here at Pierson Dental. Our Sicklerville team will carefully review your mouth, neck, and face for any indications of potentially cancerous cells, and we will strongly recommend further investigation in the form of a biopsy if needed. Regular exposure to fluoride has long been proven to have very beneficial effects for your smile’s health, which is why it is present in most community water supplies. However, the rise in popularity of bottled water has led to many patients and families missing out on its teeth strengthening effects. 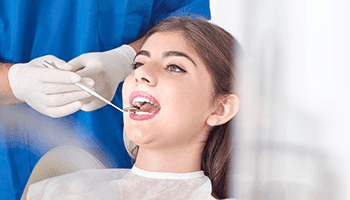 At Pierson Dental, our team may recommend professional fluoride applications as a helpful and safe preventive service that can make your enamel stronger and less prone to cavities.